Sikkim is one of the most fascinating parts of North-East India, nestled in the lap of Himalayas covering almost 7000 km of vast stretches of mountains ranges. As you leave the plains and start driving towards Sikkim, the serene ambiance of lush green hills gets you into high spirits. The scenic surroundings of the region offer a glimpse into the pristine beauty of Northern Himalayas that have stood the test of time and stand tall guarding the Indian sub-continent. Gangtok the capital of Sikkim is one of the cleanest hill stations in India and its inhabitants take pride in keeping the township clean and green. The warmth and hospitality of Sikkimese people is admirable as they are always willing to go an extra mile to help the visitors by offering assistance in every way possible. Inhabitants of Gangtok are crazy football fans and most of the cabs and private cars sport the stickers of international football clubs— something not seen anywhere else in India. It is an experience of a lifetime visiting Sikkim and is highly recommended as a vacation spot in the north-east for the discerning travelers. Your Sikkim tour operator Vasco Travel is fully equipped to make your Sikkim tour itinerary a fascinating experience. Upon arrival at Kolkata airport, you are received by a Vasco representative and escorted to the hotel where you are given a traditional Indian style welcome. Overnight stay at the hotel. 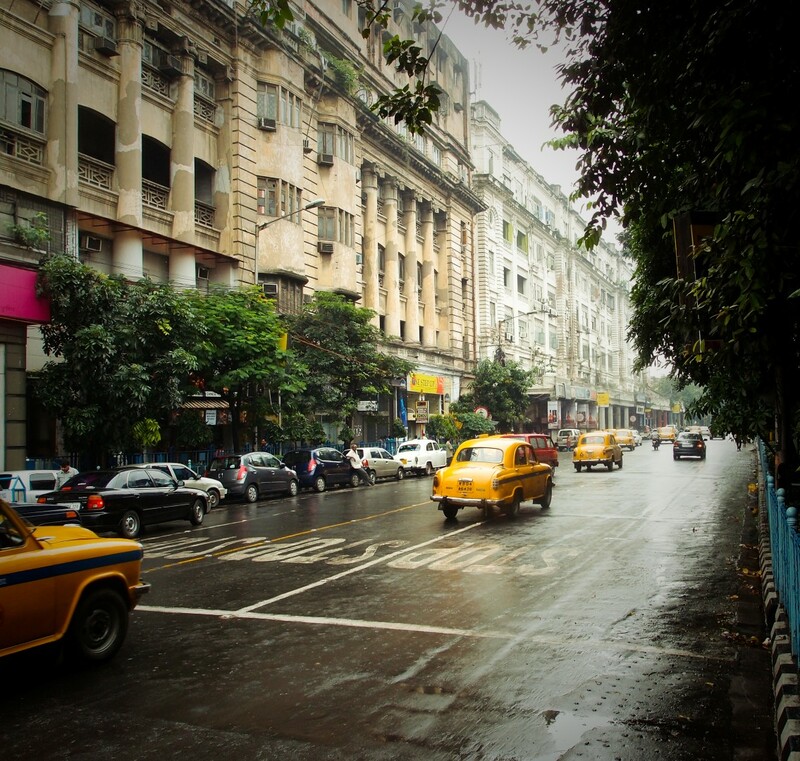 Kolkata known historically in English as Calcutta is the capital of the Indian state of West Bengal. Located on the east bank of the Hooghly river, it is the principal commercial, cultural and educational centre of East India, while the Port of Kolkata is India's oldest operating port as well as its sole major riverine port. Today's sightseeing is divided in two sections. First section includes the Heritage Walk in Kolkata and the second section comprises of city sightseeing tour. We depart on a heritage walk early morning at 07:00. The pickup will be from the hotel itself. The heritage walk covers a distance of 3 kms in about 2-3 hrs. It starts from the Governor’s House (Raj Bhavan) goes past the Treasury Building to St. John’s Church, up to the Kolkata General Post Office (GPO), and around past the Collectorate Office and the Writer’s Building – the seat of the state government. Then you can take a quick round of St. Andrew’s Kirk, take a straight walk down the Old Court House Street and go past the Old Currency Building. Cross over to see the Postal Sorting Office, the Central Telegraph Office. Then turn left into Wellesley Place (now Red Cross Place), past the Raj Bhavan outhouses and left again to the Great Eastern Hotel. This would bring you near Curzon Park from where you started. After the heritage walk, return to the hotel for breakfast. In the afternoon depart for sightseeing in Kolkata. First visit South Park Street Cemetery. When you are wandering between tombstones, reading epitaphs, you will feel as if you’re transported back in time. Trees and creepers create a wonderful and poignant atmosphere. There is a real faded beauty about this place. Afterwards you visit Victoria Memorial, one of the most famous monuments of British era which shows a lot about pre-independence period of India. Set in an attractive, well-tended park, the incredible Victoria Memorial is a vast, beautifully proportioned confection of white marble domes. Built to commemorate Queen Victoria’s 1901 diamond jubilee, the structure was finally finished nearly 20 years after her death. Next on the list is St.Paul's Cathedral which measures 71m in length 24m in width and the spire rising 60m high is a creative masterpiece. Continue with the city tour by visiting Indian Museum, a huge piece of Italian architecture on Jawaharlal Nehru Road built in 1875. This is one of the largest museums in the country. From the calmness of the museum proceed towards the hustle-bustle of Kumartuli. 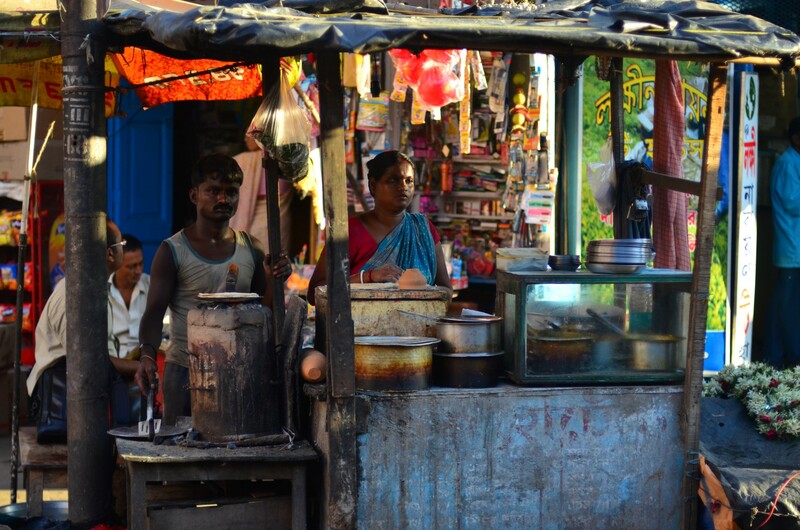 The settlement of Kumartuli, meaning "potter locality" (Kumar = potter & Tuli = locality), is over 300 years old. It’s a place that offers a unique dose of culture. The narrow maze of lanes and alleyways team with humanity, and gods and goddesses in various states of creation. Wandering through them, and seeing the artists at work, reveals a fascinating world right in front of you. 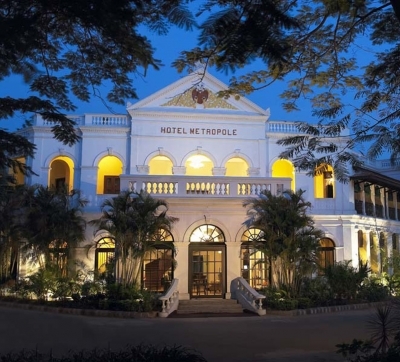 You have an option to enjoy a cup of coffee at Indian Coffee House, notable citizens, including Rabindranath Tagore and Subhas Chandra Bose, were frequent visitors to this place. After having coffee, you have time free for shopping at New Market Area. Overnight stay is at the hotel. After breakfast you will be escorted to Kolkata airport to board your flight to Bagdogra. Upon arrival at Bagdogra airport, you are received by a Vasco representative and escorted to the hotel in Darjeeling. Check into the hotel for overnight stay. Get up early morning around 04:00 to view the sunrise at Tiger Hill. Situated just 13km away from Darjeeling, one can see beautiful vistas of sunrise and Himalayan peaks like Kanchendzonga and Mount Everest. One can see the horizon changing colours just before sunrise and the entire Himalayan range turn golden. This view of dawn is truly a majestic one. After dawn, we visit Ghoom Monastery, one of the oldest Monastery in the area built in 1875 and one can see the image of Mythey Buddha which is 15ft high on the way back from Tiger Hill. Afterwards return to the hotel for breakfast. After breakfast we leave for Darjeeling Railway station to enjoy World Heritage Toy Train ride up to Ghoom. On the toy train one can experience the sounds, smell and romance of a bygone era. The toy train represents a work of genius and technological achievement of 1881. Following the toy train ride, continue the sightseeing tour of Darjeeling. Visit Himalayan Mountaineering Institute & Padmaja Naidu Himalayan Zoological Park (Closed on Thursday). The Himalayan Mountaineering Institute was started in Darjeeling after Tenzing Norgay climbed Everest to impart training and other adventure sports related to mountaineering. One can see the equipment used by Mr. Tenzing Norgay in the institute. We can also visit Himalayan Zoological Park where you can spot Himalayan animals like Snow Leopard, Tibetan Wolf, Tibetan Yak, Himalayan Black Bear and several varieties of birds. The day ends with a visit to Tibetan Self-Help Centre or Refugee Centre (Closed on Sunday). This institute is run by Tibetan Refugees to preserve their handicrafts and one can see making of Tibetan carpets, leather work, paintings and wooden work etc. Shortly after that, we return to the hotel for an overnight stay. After breakfast we depart for Pelling, another serene mountain village which lies in the western district of Sikkim. 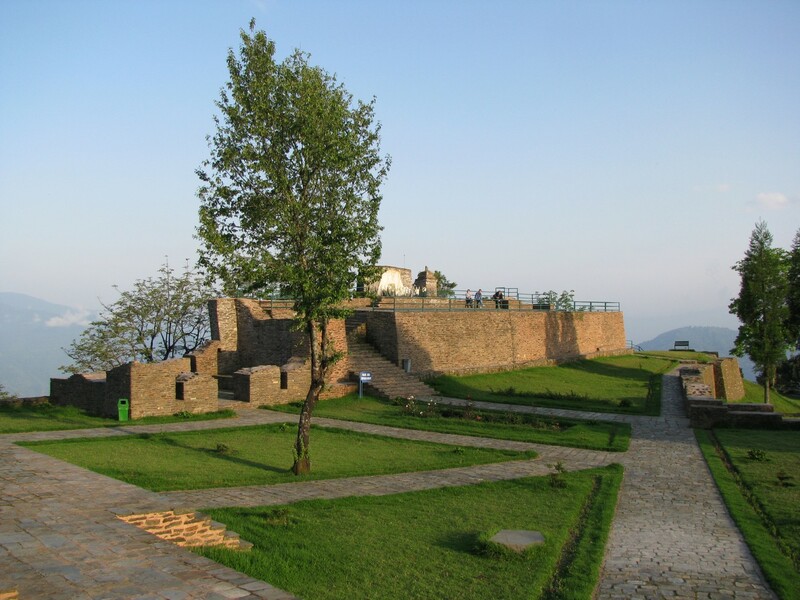 It is situated at an altitude of 2000mts. Upon arrival ceck-in at the hotel. In the afternoon we go for a walk to Sanga Choeling Monastery. A 04 km trail rises from the playing fields just above Pelling to reach the small monastery of Sanga Choeling,one of the oldest Gompas in Sikkim. Sanga Choeling means 'the island of esoteric teaching'. This Gompa is another of Lhatsun Chenpo's creations, and is highly venerated among the Nyingmapa. Afterwards return to the hotel for an overnight stay. Today we visit Pemayangtse Monastery and Rabdentse Ruins. 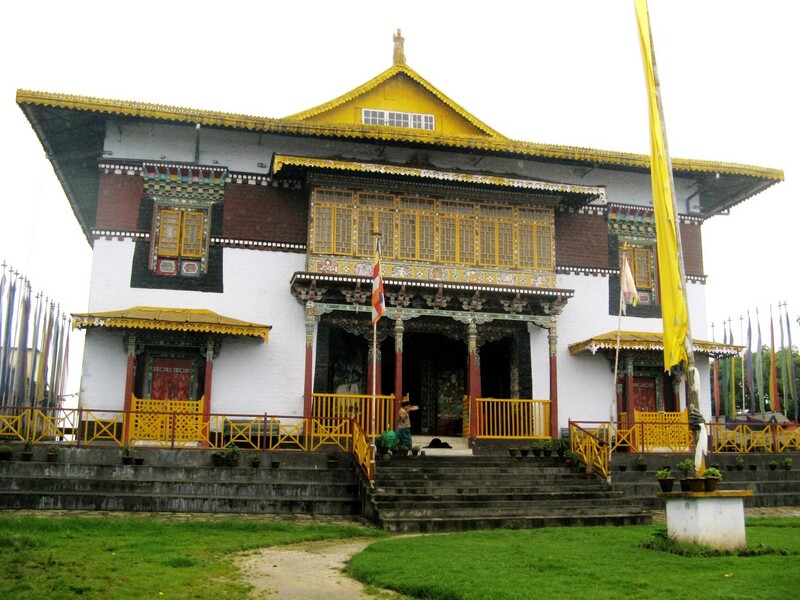 Pemayangtse Monastery is the second oldest monastery in Sikkim. It is the main attraction of the town. Despite being over 300 years old, the monastery is in excellent condition and is well maintained by the monks. At elevation of over 1981mts, the monastery is a three-storied structure with several statues including those of Padmasambhava (Lotus Born). Afterwards, visit Rabdentse ruins. The ruins of Rabdantse are worth exploring. The approach to the ruins is a marvellous pathway built within thick plantation. You can watch number of exotic birds speicies here. In the afternoon we go for an excursion to Khecheopalri Lake. It is a Holy Lake for Buddhists in West Sikkim. Khachoedpaldri is also considered as a wish fulfilling lake and has thousands of non-Buddhist believers who come and pray here. Overnight stay is at the hotel. After breakfast we drive to Rinchenpong. 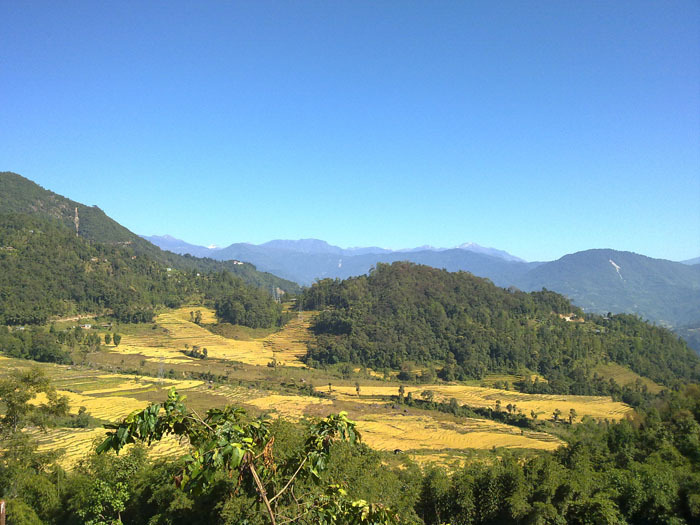 Situated at an altitude of about 1700mts, it is famous for the beautiful view of the Kangchendzonga range. In the afternoon visit Rinchenpong Monastery and later go for a village walk. 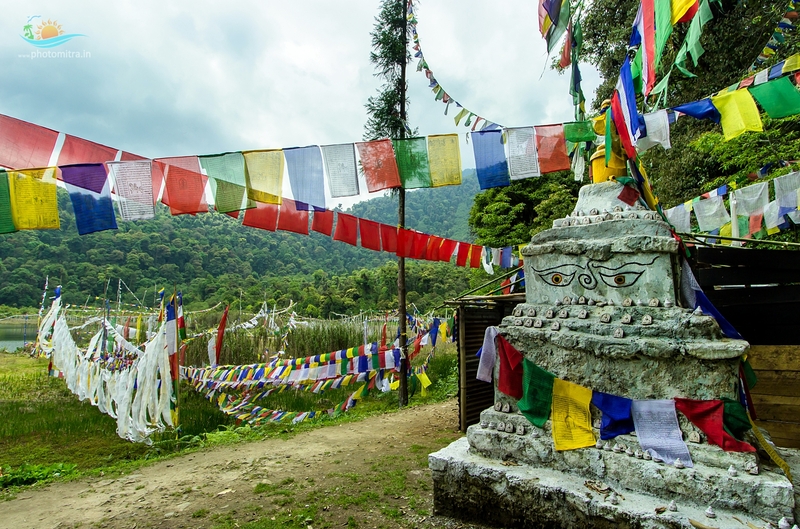 The recorded history of Rinchenpong only dates back to 1860, when the British attacked Sikkim. They reached up to Rinchenpong when Lepchas (the original inhabitants of Sikkim) poisoned the water of the pond, the only source of water in Rinchenpong. In the process killing almost half of the British troops and forcing them to retreat. The pond came to be known as Poison Pokhri and can be seen to this day. In 1924 famous Russian explorer and painter Nicholas Roerich painted the magnificent views of Khangchendzonga from Rinchenpong, making the world aware of the amazing beauty of the unknown place. Later you retire at Traditional Lepcha House. Lepcha house gives an insight into their lives and it also doubles up as a Lepcha artefact shop. Overnight stay is at the Farm House. After breakfast we drive to Gangtok. Situated at an altitude of 1750mts, it became the state capital in the mid 19th century and has undergone rapid development ever since. The downtown area is dominated by huge government buildings decorated with traditional Buddhist symbols. Gangtok is also a resting ground for people travelling to North Sikkim. Surrounded by Monasteries and Orchids, Gangtok is truly a traveller’s delight. Upon arrival at the hotel check-in for an overnight stay. After breakfast we leave for sightseeing around Gangtok. 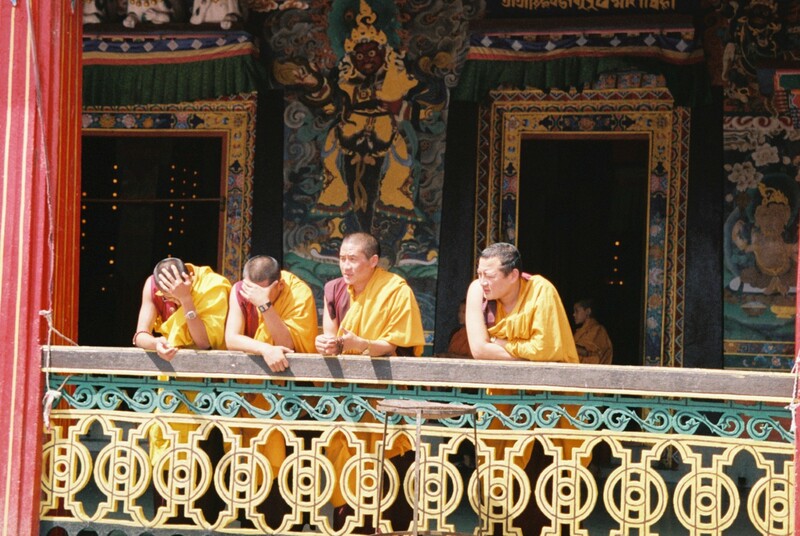 First we visit Enchey Monastery which is perched on a ridge above Gangtok. Nestled within lush woods offering a spectacular view of Gangtok town, it was built in 1910 on the site of the hermitage of the great tantric saint, Lama Drutob Karpo, who was renowned for his powers of levitation. 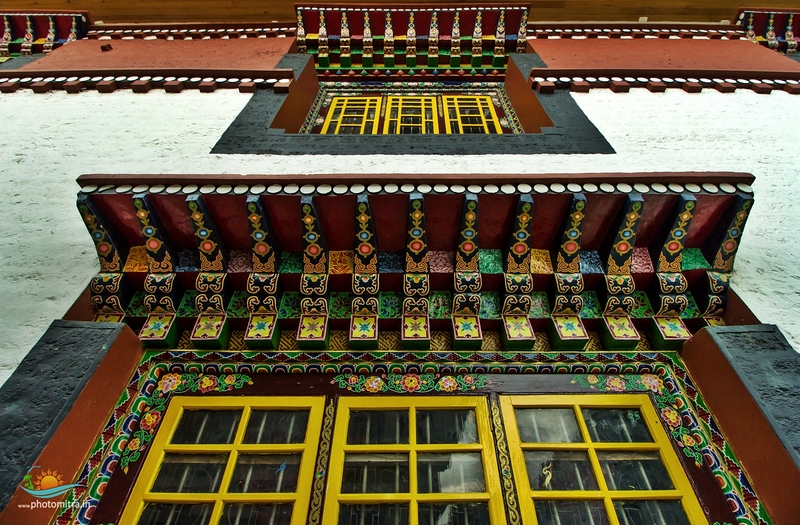 This monastery houses the monks of the Nyingmapa Order of Tibetan Buddhism. Then we visit Namgyal Institute of Tibetology which is situated amidst a serene surrounding of oak, birch and ash lays the unique organization established in 1958. 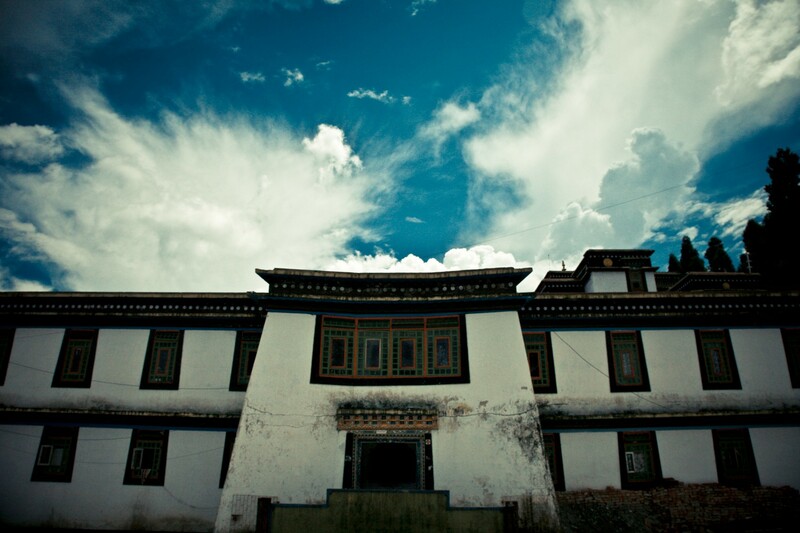 Built in traditional style, the Namgyal Institute of Tibetology promotes research in Mahayana Buddhism and the language and tradition of Tibet. It has one of the world’s largest collections of rare books and manuscripts on Mahayana Buddhism. The Institute also has retail outlets where related books and commercially produced religious art and craft of Tibet can be bought. Later, proceed towards visiting Directorate of Handloom and Handicrafts. This Directorate was set up to promote traditional Sikkimese art and handicrafts. Exquisitely carved wooden friezes, intricate bamboo work, along with beautiful hand woven carpets and handlooms are on exhibit here. Visitors can not only purchase these items here but also see the artisans at work. Among others, a favourite item here is the Choktse a wooden table with carved panels that can be folded into a portable pack. Rumtek Monastery is the second most important monastery in the world (the most famous one is the original Kagyu headquarters situated in Tibet). 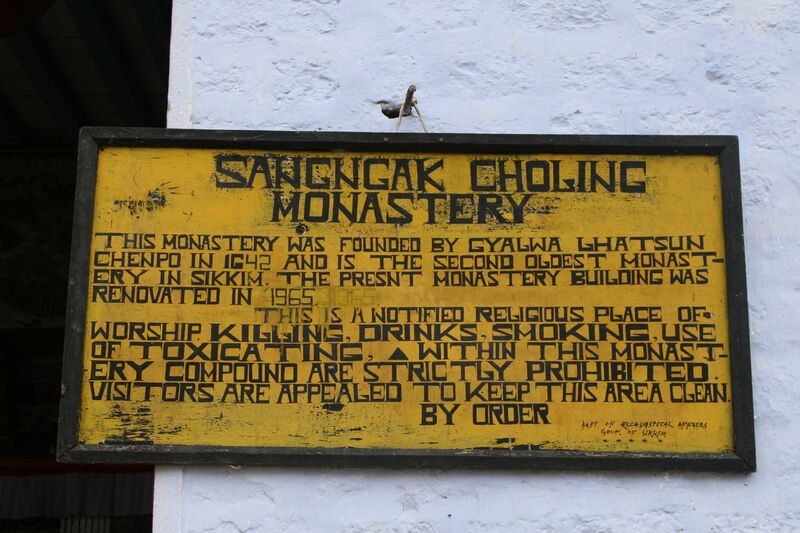 The monastery is the seat of the Karmapa Lama, the head of one of the main four branches Tibetan Buddhist Sects. There is a huge collection of rare religious scripts and objects in the monastery. The new structure of the monastery was built in 1960. A thirty-minute downhill walk from the new building will take us to the older monastery that was built in 1730 which was destroyed in a fire. Each year, before “Losar”, the Tibetan New Year in the month of February and a celebratory dance called Chaam is organized in the Monastery premises. After visiting the Monastery you will have a Meditation Session with a Monk at the Bamboo Retreat, Rumtek. After which we will return to the hotel for overnight stay. Today we will go for an excursion to Tsomgo Lake situated 35 km away from Gangtok. The drive to the lake is breathtaking as it offers unparalleled vistas of the Himlayan ranges en route. The lake derives its waters from melting snows off the surrounding mountains. Legends say that lamas could forecast the future by studying the colour of the lake’s waters. Nearby lies the unique high altitude Kyongnosla Alpine Sanctuary, home of the Red Panda and the Blood Pheasant, which are the state animal and the state bird respectively. Afterwards return to the hotel for overnight stay. After breakfast we drive to Lachung. On the way one can visit a few villages and enjoy scenic views of waterfalls. Upon arrival check-in at the hotel. Evening is at leisure. Lachung is a town in northeast of Sikkim located near the border with Tibet. Lachung is at an elevation of about 9,600 ft or 3,000 m and at the confluence of the Lachen River and Lachung Rivers, tributaries of the River Teesta. The word Lachung means "small pass". The town is approximately 125 km from the capital Gangtok. Today after breakfast we go for an excursion to Yumthang Valley also known as “The Valley of Flowers”. Yumthang showcases the exotic flora and fauna of the regiion and the Rhododendrons and Primulasare found in abundance. Yumthang is the summer grazing grounds of the Yaks. On the way back, you can visit the Sulphur Hot Spring, considered to have medicinal properties. Afterwards return to your hotel in Lachung for an overnight stay. 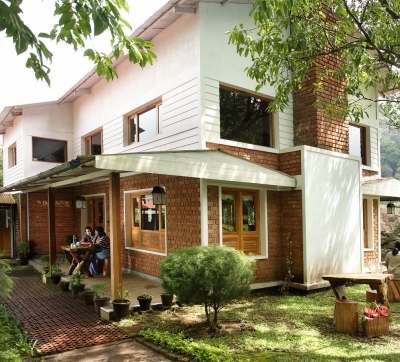 After breakfast we drive to Martam via Gangtok and upon arrival check-in at Martam Village Resort. Martam provides a unique travel experience as it is situated in the breathtaking and tranquil countryside of East Sikkim in the foothill of the Himalayas. 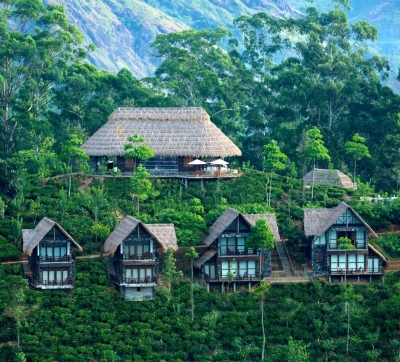 The village overlooks a beautiful valley of rich terraced paddy fields. Martam is a wonderful location for nature lovers as well as the soft trekking seekers. 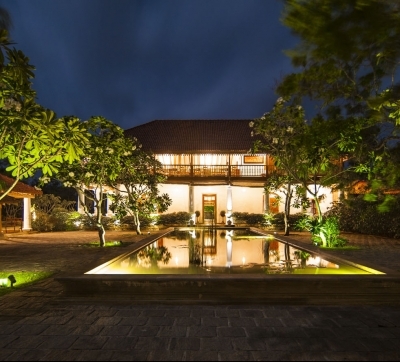 One can walk up to the hilltop to see the unique flora and fauna or enjoy an evening village walk. Overnight stay is at the Village Resort. After breakfast we drive to Kalimpong. Situated at an altitude of 1250 mts, Kalimpong’s location is ideal for a pleasant getaway in serene mountaineous surroundings. Its clement weather has made Kalimpong’s Orchids and Gladiolus well renowned. 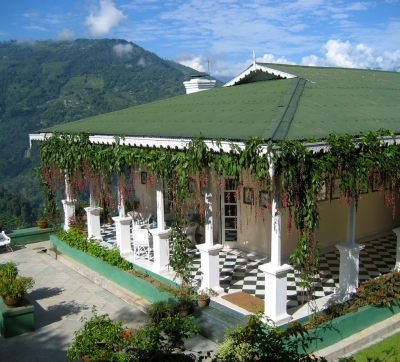 Upon arrival at Kalimpong, check-in the hotel for an overnight stay. Afternoon you will leave for city sightseeing tour. First you visit Flower Nursery. As the climate of Kalimpong is ideal for the cultivation of flowers its nurseries export exotic flowers like Amaryllis Lilies, Anthuriums, Roses, Gerberas, Dahlias, Gladiolus, Orchids and Cacti. From the nursery you will visit Zang Dog Palri Fo-Brang Monastery. This is a fairly new monastery located in Durpin Dara, from here one can get an exclusive panoramic view of the town and surroundings. The prayer room inside the monastery is adorned with wall paintings and there is a rare three-dimensional mandala upstairs. Later, visit Thongsa Gompa. 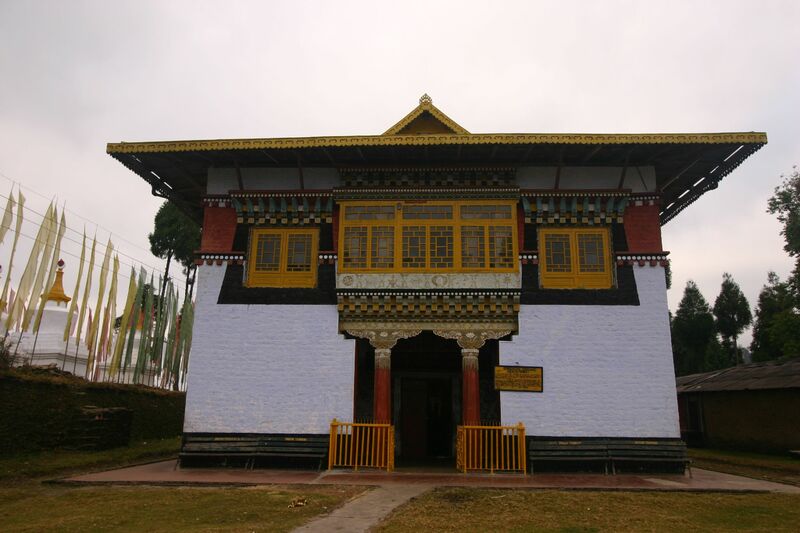 This Gompa is of Bhutanese origin and built around 1692. It is the oldest in Kalimpong. The original structure was destroyed in the inter-clan wars before the British arrived. After breakfast check out from the hotel and drive to Bagdogra airport to board your afternoon flight to Kolkata. At Kolkata International airport you will be greeted by a Vasco representative who will assist you to board your onward flight.